I’m honoured to share details of Anita’s recent adventure in Hawaii which has left us all in awe and admiration. She bravely took part in the KONA race which is part of the IRONMAN WORLD CHAMPIONSHIP, this race is no picnic! She’s shared her own story here on Facebook. I’m proud to recount her experience with you here. This was a real achievement for Anita, competing in such a big race had always been a dream for her. The challenge of the Ironman race is not like any other triathlon racing. It’s a journey you need to prepare for thoroughly both physically and mentally. You get one chance to make it and you need to ensure that your performance is at its peak. Anita made the most of her time in Hawaii, she arrived early to absorb the laid back and spiritual atmosphere in Hawaii, a great way to gear herself up for the race. As the day of the race drew near the tension amongst the athletes was evident, yet the support for them among the community was strong. All who were participating had certainly earned their right to be there. All helped each other prepare for the challenge of competing in extreme humidity, heat and wind. She swam next to Rick Hoyt and his son being towed in a boat behind them, soon the sense of calm was gone and suddenly she was being kicked in the face during one aggressive swim! Yet, she persevered. The beautiful clear water and colourful fish made the journey worth it. Despite the blood trickling down her face and cuts on her lip she carried on down the highway for the straight ride out to Hawi, not feeling on top form, understandably. At times feeling overwhelmed by it all, she chose to reframe her mindset and appreciate the situation for what it was. Her previous experience of Ironman had been different. She’d held back the first time and wasn’t as confident about pushing herself to take big risks. She was in Hawaii and was grateful to be there and to have made it this far. Competing with some of the very best athletes from around the world was an achievement to be remembered and to be proud of. She excitedly arrived in T2, receiving the well-deserved sense of being back in control of making it to the finish line. She was inspired to hear Daniela Ryf talking at the finish line about her own battle. Anita loved the liberating feeling of switching to running, of being closer to the crowd and feeling the energy that was present. She set herself high hopes at this stage, but her lowering heart rate vs high effort required further reassessing. As it so often does in sport, it became a mental game for her. 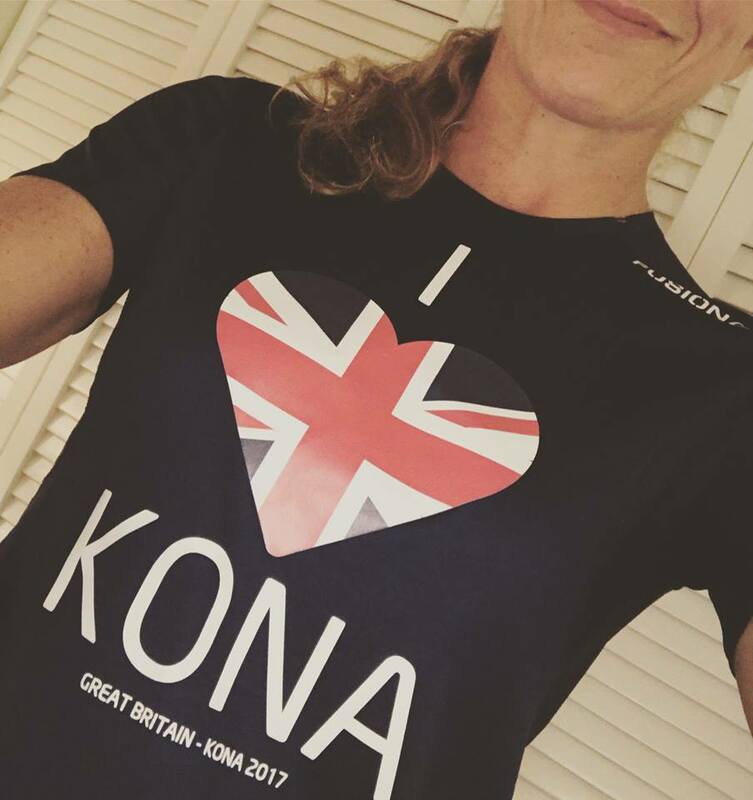 That is of course what Kona is all about. She arrived in time for sunset, making this turn point both beautiful and memorable. Admirably she was one of the first people to get a spring in their step at about 18 – 20 miles knowing she was heading back towards Kona and Ali’I drive. At this point it was getting dark, calming the atmosphere and heat, also making it harder to see the course or other competitors. This presented a new set of challenges and a new round of rewards. Anita Jones You are an IRONMAN. What an incredible achievement for Anita! She deserves to be proud for facing up to the challenge and for persevering when things got incredibly tough. She was well prepared and reaped the rewards that arise even when things don’t go exactly to plan. She truly earned that medal and deserves to be proud and happy with her achievements every day. It reignited her passion for triathlon, something she feared was already over. It showed her everything she loves about this sport and the incredible people it puts her in contact with. Let’s hope we hear more triathlon adventures from Anita very soon! For info on mental strength coaching click here.